Do overdraft fees have you feeling defeated in your budget? Is your budget desperate for some wiggle room? A budget buffer may be the perfect solution for you. 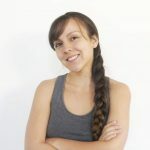 I learned about the zero-based budget system a few years ago when I started my debt free journey. But after failing miserably, I realized that deep-diving into a zero-based budget wasn’t for me at the time. First of all, I didn’t really understand what I was actually spending on things. Despite looking at previous statements, I consistently under-budgeted my food, gas, and other variable expenses. In-promptu trips and unpredictable spending made it difficult to really grab a hold of the budget. Over time, I began to get better at predicting what would happen in the following weeks so that I could budget for it. Also, I started to grasp the value of items and services in my area. Prior to this, I never really knew what the price of a gallon of milk or a was, nor did I care. As time went on, I new what a good deal was and I knew where to get it. But, no matter how much time I spent on creating my budget or meal plan and no matter how much I wanted to stay on budget, there was always #momlife. I forgot things like birthday parties of friends or family members, picture days, and the occassional quarterly bill. The more kids I had, the more I really enjoyed having convenience and the more a bag of candy at the gas station meant the difference between a beautiful day out or the worst day ever. I needed something to “catch” those life-saver moments. The small things that made my day seem not so difficult. I needed a budget buffer. 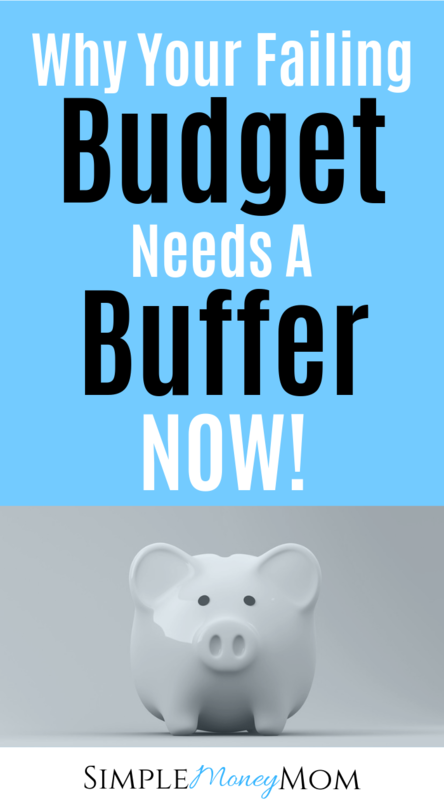 What is a budget buffer? A budget buffer is extra cash left in your checking account. Some call it a cushion, or a mini-emergency fund. It is important to not get a budget buffer confused with an emergency fund. The budget buffer is used for small fluctuations in the management of your money. This includes miscellaneous expenses that wouldn’t necessarily be categorized, the “whoopsie” spending if you will. An emergency fund is used for emergencies only. This includes things like buying a new tire when you have a blowout, fixing your HVAC if it goes out in the middle of the night, or buying a used refrigerator if yours broke. Don’t use your emergency fund for “whoopsie” spending. For those just getting started with budgeting, it is imperative to have a cushion because you will make mistakes. And that’s okay. But, you don’t want your mistakes to cost you more money due to overdrafting your account. Overdraft fees caused me to break up with my bank years ago. Now, I bank with a credit union that offers overdraft protection. Overdraft protection means that if the checking account is overdrafted, it will pull funds from the savings account to cover the negative balance. If you don’t have a bank account with this feature, I highly suggest you switch banks. Having a budget buffer prevents you from overdrafting on your account. But be careful, do not depend on your budget buffer to bail you out everytime. You will quickly develop bad habits and you’ll never get out of the rut that you are in. 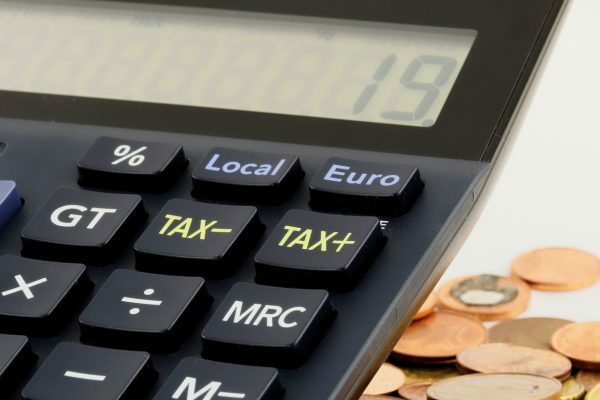 Working in an area where your paycheck varies can make it very difficult to budget. You’ll need great discipline in telling your money where to go and not spending the extra money you have that needs to be kept for the next paycheck. My paycheck can vary by about $400. This means, that I do depend on a budget buffer on the days that I have a shorter check mixed with higher expenses, like my mortgage. If my whole check is taken, then I’ve got that cushion to fall back on. Sometimes, you just have to get away. Life can be tough and a night out with the girls or even alone can be just what you need. But if you don’t have the “fun” enveloped funded, then what? Having a small buffer in your budget allows you to still live your life. Did your son get an award at school and you want to treat him with a trip for ice cream, rest assured that you’ll have a small amount in your budget buffer to cover this. All of my bills are on autopilot but some of these bills fluctuate from month to month. Examples include the water bill, electric bill, sewer bill, and gas bill. Depending on the season, you may use more or less in each given month. If you have your account on automatic payments but forget to actually look at the bill, then having a little cushion in your budget can give you piece of mind if your electric bill was $40 higher this month. You’ve just dodged what could have been another step back in your savings or debt pay off journey. We all make mistakes, right?I would always forget to add my quarterly trash bill to my budget. So when the bill was automatically taken out, it would cause either an overdraft in my account or leave me with less than what I budgeted for. If you make a mistake like this, the budget buffer will absorb that cost. The kids can outgrow their shoes in a few months, or you need new cleats for your son’s tball season…again. The kids have spirit week and you have NOTHING for them to participate. You are having a pot luck at work and you don’t have anything in your fridge to make. The list can go on. These are unpredicted costs. Unpredicted costs are things you’d like to participate in and some you need, but they don’t actually qualify as emergencies. Having a budget buffer was the only way I was able to pay off over $26K in debt while still living my life. How Much Should You Have as a Buffer? The amount you leave as a buffer will depend on your income, expenses, and normal spending. I like to keep $100-200 in my account after all my bills and expenses are accounted for. This averages out to 6-10% of my take home pay. I don’t always need it, but it’s there to give me piece of mind. In the next pay period, I’ll just replenish what I took out or bring it back to where I would like for that given pay period. If you’ve never had a budget buffer before, it might feel a little weird. Once your buffer is there, then you will feel so much better. First, add up all of your income. Then, subtract all of your bills. Next, subtract your necessary variable expenses like gas and groceries. Then, anticipate any events where you might be spending money. What’s left? Use what’s left to fund your buffer, even if it’s only $25. Just leave it your account, then try your very best to stick to your budget. The more you stick to your budget and the more your spending becomes predictable, the less you’ll need as a buffer. If you have nothing left, then you’ll need a way to bring in more money to get you on track. Do you have a buffer in your budget? If so, then how much do you keep as a buffer? This was literally our biggest mistake! My husband and I always allotted our funds, but random things kept coming up and throwing us off course. We now have a “Miscellaneous” fund for things like birthdays, random toiletries, etc. Such a lifesaver! Great tip! It’s always those random things that throw you off course, right? I love that you have a miscellaneous fund and that it is working for you! It is so important. I love that you’ve called it a Budget Buffer. I’ve always given what I called a “cushion” but I think that term gives me the impression it’s extra for spending. Using the term Budget Buffer implies it’s there as a “buffer” in case it’s needed. It’s a wiser term. Great advise! I have used the terms buffer and cushion interchangeably but now that you mention that it could imply “extra spendiing”, I think I’ll stick with buffer from now on. Thank you! This is definitely a good strategy to have. There will always be unexpected expenses and it is so important to save regardless. This is a tough time of year for saving and budgeting as well. Thanks for sharing! Thank you. The Budget Buffer has definitely helped me and many other people. The Holiday season is always a high buy time but if people plan it right or even save from the beginning, then they won’t have to rely on credit to buy things they cannot afford.